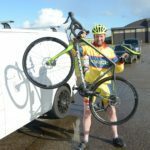 A Campbeltown cyclist joined an Argyll peloton for this year’s RideLondon 100 event. The eight-week London heat wave came to an abrupt end just in time for the cycling quartet to take to the roads. Campbeltown’s Marjorie Leighton had enthused so much after taking part last year, that she encouraged three Mid Argyll friend, Morag MacNicol, Catriona Crawford and Iain MacNicol, to participate in this year’s challenge. The day before the event the air temperature had soared to 32°C and the cyclists prepared for the possibilty of heat exhaustion. However on the day, they were shocked to find that they should have perhaps brought cyling capes instead. The persistent rain combined with the wind ensured that they were all soaked to the skin at the finish. 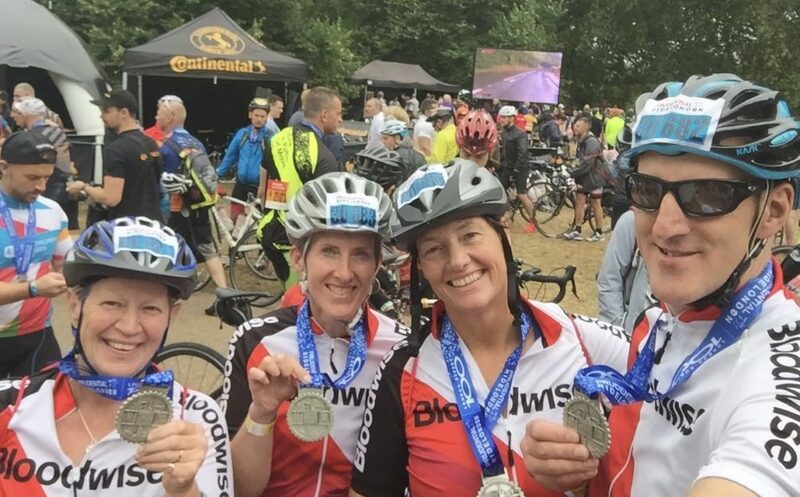 The Argyll cyclists beat the target required for their chosen charity, Bloodwise (formerly Leukaemia and Lymphoma Research) which helps to fund research for specific types of cancer.